Ask anybody and they will tell you: the five words Hollywood loves more than anything else are, "Based On A True Story." By making films that take inspiration from real events filmmakers not only save time coming up with original ideas, but they also have an opportunity to honor the sacrifice, perseverance, and ingenuity of real life people. This trend has been apparent for years, and the recent Golden Globe winner The Revenant only represents the latest in this seemingly permanent pattern.There’s just one problem with calling The Revenant a true story: it’s not entirely true. 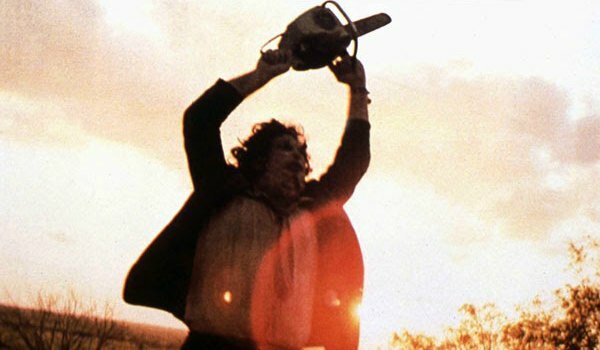 To this very day, The Texas Chainsaw Massacre’s low production value and unknown cast give the film and aura of authenticity – it genuinely feels like a real snuff film. This is also assisted by the fact that the film framed itself as being based upon genuine events. The reality of the matter is somewhat different, although no less disturbing. Director Tobe Hooper based Leatherface (Gunnar Hansen) on real life serial killer Ed Gein, and while Gein did in fact murder two women and make keepsakes out of their skin, he mostly just robbed graves and never once used a chainsaw for his dastardly deeds. 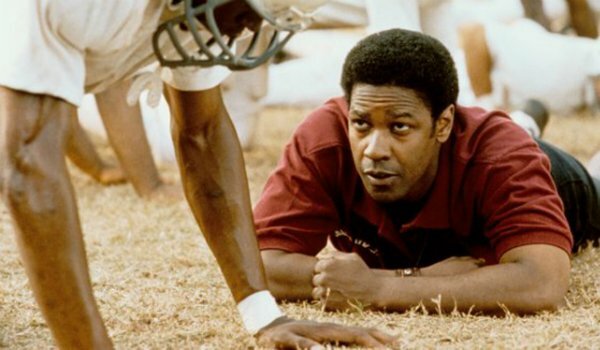 Set in 1971, Remember the Titans tells the story of T.C. Williams High School in Virginia as the newly racially integrated football team must overcome their preconceived notions about race and come together to win a championship. It’s a beautiful film with a strong moral message and great performances – particularly from Denzel Washington – however, it gets one definite major aspect of history wrong. T.C. Williams High School had racially integrated years before they went on to win their 1971 championship, and by that time much of the racial tension had died down to the point where people no longer protested outside of the school. We did say that not every movie on this list was a great movie, didn’t we? Pearl Harbor takes numerous liberties with the history of America’s early involvement in World War II, but perhaps none so glaring as the final act of the film. 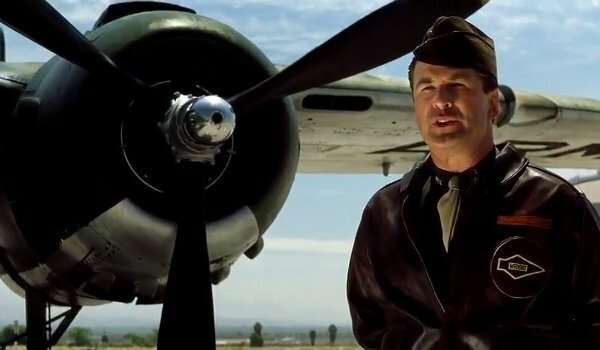 Following the Japanese attack on the titular military installation, Rafe (Ben Affleck) and Danny (Josh Hartnett) volunteer to take part in a daring bombing run on Tokyo with James Doolittle (Alec Baldwin). The reality of the situation is that they never would have taken part in that attack; nobody present at the attack on Pearly Harbor ever went anywhere near the Doolittle Raid, as all of the members of Doolittle’s Raiders came from the 17th Bombardment Group, which was stationed in South Carolina. Brian DePalma’s classic gangster film The Untouchables really is just as much of a history film as it is a remake of the classic Untouchables TV show. That being said, the film still frames itself as a historical drama depicting how Al Capone was brought down, so the liberties need to be noted. The biggest of these come during the film’s climax, during which Treasury agent Elliot Ness (Kevin Costner) throws Frank Nitti (Billy Drago) off a roof after discovering Nitti murdered Jim Malone (Sean Connery). History tells us that this incident never even remotely happened, as Nitti died of a self-inflicted gunshot wound in 1943 – long after Capone went to prison for tax evasion. Much like Pearl Harbor, The Patriot is a straight-up action romp that tries to elevate its content under the guise of historical accuracy – of which it has very little. 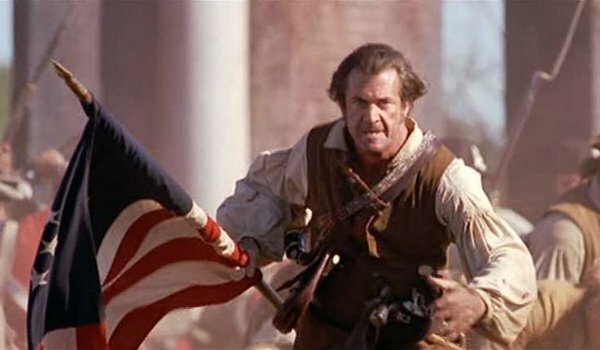 The movie is basically an excuse for Mel Gibson to dust off his persona as Martin Riggs and take a tomahawk to the earliest days of America. One of the most glaring issues with the film is the way in which it depicts British soldiers. One scene involves them locking innocent townsfolk in a church and setting the place of worship ablaze. Most sources indicate that this sort of thing was never reported to have occurred at the hands of the British, and the inspiration for the fictional atrocity was actually attributed to the Nazis. Our guess is that if you’re going to have Mel Gibson butchering bad guys with Native American weaponry, you better write your script so they deserve it – even if that means faking history. Argo tells the story of U.S government official Tony Mendez (Ben Affleck) posing as a Hollywood producer to rescue six Americans hiding out in Tehran after they slipped away during the Iranian Hostage Crisis. The film itself actually follows the real life story of how this all unfolded – until the final act. 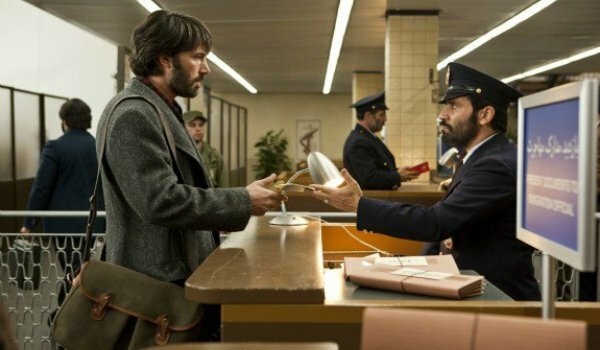 In classic Hollywood fashion, Argo ramps up tension by featuring a major chase down the Tehran Airport runway as the Iranian authorities get wise to Mendez’ plan and try to stop him. In reality, history tells us that the plane that flew the American refugees out of Iran only experienced a minor one-hour mechanical delay with no grand final chase. 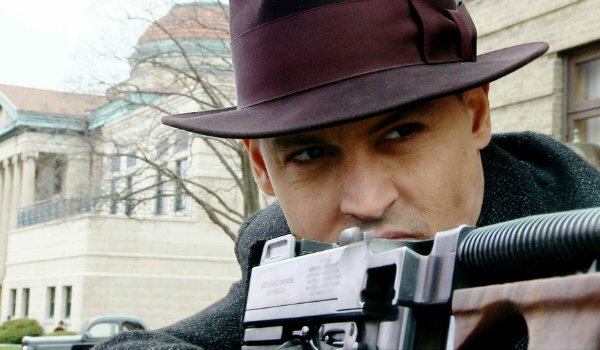 Michael Mann’s Public Enemies depicts the final days of legendary gangster John Dillinger (Johnny Depp) as law enforcement officials struggle to keep up with him. Throughout the film several other real life gangsters – such as Pretty Boy Floyd (Channing Tatum) and Baby Face Nelson (Stephen Graham) – are gunned down by the forces of lawman Melvin Purvis (Christian Bale) before Dillinger himself is finally killed at the film’s climax. Telling the story this way establishes the threat posed by Purvis, and makes Dillinger out to be the last of a dying breed, but in reality Pretty Boy Floyd and Baby Face Nelson both outlived John Dillinger by several months. 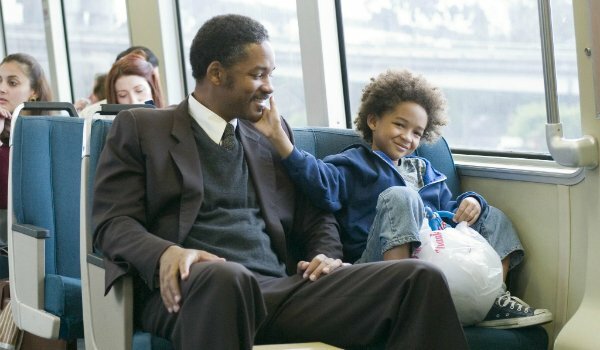 All spelling errors aside, The Pursuit of Happyness is one of the most uplifting and inspirational films of the last decade. It tells the story of brilliant, yet unlucky, single father Chris Gardner (Will Smith) as he balances caring for his son while interning for free at a high powered brokerage firm to eventually put a roof over both of their heads. As the story is told, Gardner seems like a perfect father who will stop at nothing to care for his son, but most sources indicate that the real Gardner was a relatively absentee parent during his internship, seldom knowing where his son even was for months on end. If you’re going to hire nice guy Will Smith for a role like that, then odds are you’re going to brush over a few of those nastier details. 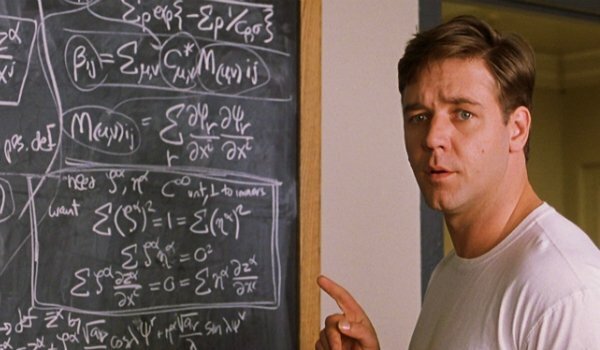 Ron Howard’s A Beautiful Mind depicts the tragic yet uplifting story of the late John Nash (Russell Crowe), a brilliant mathematician who suffered from hallucinations that threatened to tear his life apart. The movie portrays these illusions as living breathing people, indistinguishable from actual human beings to Nash. The truth of the matter is that while Nash did in fact suffer from paranoid schizophrenia, his hallucinations were mostly auditory and he could never have fostered relationships with them the way he did. Many experts have criticized the film for its incredibly inaccurate portrayal of Nash’s condition – although it is still a beautiful and endlessly entertaining piece of cinema. The 2008 home invasion horror romp, The Strangers, marketed itself heavily on the idea that it’s based upon a true story. The reality of the matter is that the reports of masked invaders breaking into a house and butchering residents have been greatly exaggerated. Shortly after the film’s release it was revealed in the production notes that The Strangers is based upon an incident in which someone came to director Bryan Bertino’s door when he was a kid asking for someone who didn’t live at his home. He later found out that these people had been going from house to house and robbing unoccupied homes and he combined elements of that story with the Manson Family Tate/LaBianca murders, and that's how we got The Strangers.